This wine is only made in years of great vintages. It is the result of the highly rigorous selection of Pinot Nero and Barbera grapes - only the healthiest, ripest bunches are used. The wine-making process is very traditional. 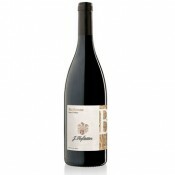 After it has been drawn the wine is held in batches of 228 litres for approximately 24 months. Later on, as the result of a carefully studied "coupage", Renero is created. The bottles are placed in the company's "natural caves" for at least 24 months in order to allow Renero to refine in the most natural of environments. It is a strong, grainy, red. 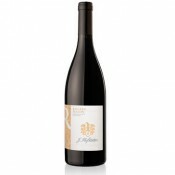 The aroma is intense, long-lasting and reminiscent of red fruits with a pleasant "boisè" finish. It has a very distinct, pleasing taste, and a flavoured, dry structure The aftertaste is of hazelnuts and bitter almonds. 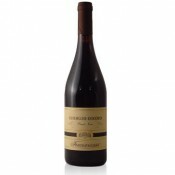 San Giorgio is a company that tends thirty hectares of undulating land, land made up of ancient oak forests and stunning hillsides situated at a height of 200-250 meters. It is here, on vineyards exposed at midday, that the company cultivates carefully selected vines for the production of typical Oltrepò wines. These grapevines, which have a studied lineage and are often the result of careful cross-breeding, bear witness to the creative flair of a company and its determination to pursue new ideas, new initiatives. The company has been producing wine since 1500 and was relaunched twenty years ago by Sig. Perdomini, a Milanese entrepreneur. It is one of the oldest wine-making companies in the region, and once belonged to Sauli di Genova, a noble family of marquises. 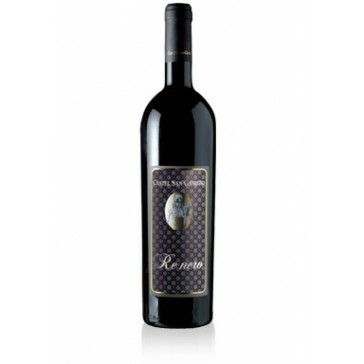 This is a wine to drink with robust dishes, such as game and medium-mature cheeses. Serve at 18 degrees centigrade in clear, transparent crystal goblets. 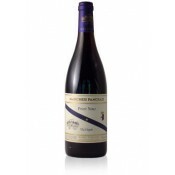 If kept well, this wine can be conserved for eight to ten years. The bottles should be laid flat in a cool, dark, humid cellar.